When I was a teacher, giving out jobs was a technique I used all the time to manage challenging kid’s behaviour. Picture the scene – the hyperactive, problematic kid enters the class, but before he starts stomping about kicking chairs and flinging his bag around, I stop him at the door. Little Jordan would swell with pride because he’d been trusted with this very important job. Giving kids responsibility builds confidence, self-esteem and self worth. It gives you a natural scenario in which to give praise. It distracts from any bad behaviour that may have occurred. So how can we use this with our own kids? My little one helping with the shopping, we made a list and then she had to find items and tick them off – BOOM! Fretting about the three piles of washing on the landing, which I’d sorted but needed to start putting in the machine. I was a bit stressed out. I felt like a slave. My kids are six and nearly five and my husband… well, he’s old enough to know better. Ok, ok… it was very dramatic, and maybe not the best way to approach the problem. In hindsight we should have probably called a ‘family meeting’. You know like Tom and Pippa use to do on Home and Away? They started helping me. My littlest set the table, whilst my husband finished unloading the dishwasher. My eldest fed the dog and loaded a pile of washing into the machine. I felt a bit silly, and sorry for the outburst. 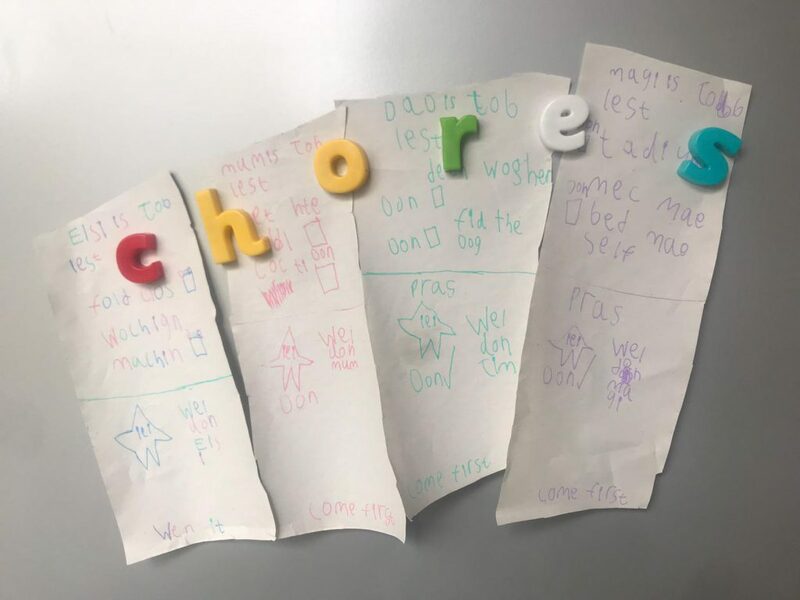 The next day my six-year-old (without being asked) drew up four job rotas and stuck them on the fridge. It made my heart melt. I instantly felt worried that my outburst had had a negative effect. But do you know what? Not only has it helped with my feelings of injustice and general frazzledness, but it has also improved the kid’s behaviour. My six-year-old now helps me sort the washing and she loads the washing machine. I’ve taught her how to set the programme and switch it on. 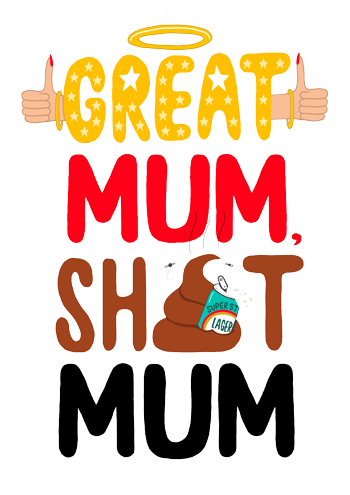 I praise her wholeheartedly when she does this – ‘It makes Mummy so happy that you’re helping. You’re such a kind girl. It’s so clever that you can work the washing machine.’ etc, etc. Kids enjoy helping and doing jobs if you set it up in the right way. Be clever about it. Give lots of praise. HELL… Maybe even reward them with pocket money afterwards. Make it a game. I once got my two to clean the whole kitchen floor with wipes by pretending they were Cinderella and I was the evil stepmother. 1-0 to me. So… do your kids have chores or jobs? If not, it may be time to introduce them. Building trust, self-esteem, confidence and self worth is never a bad thing, right? Teaching them life skills and responsibility whilst you are actually getting help… erm… win, win surely? Kids their age were down the mines a hundred years ago after all! If you enjoyed this post and found it useful please check out my A-Z child behaviour page! ← Does sugar make kids hyper?